This product was added to our database on Wednesday 18 September 2013. One set of Falcon crystal clear vacuum form canopies for use with 1:72nd scale Airspeed Anson and Oxford Mk.V model kit. 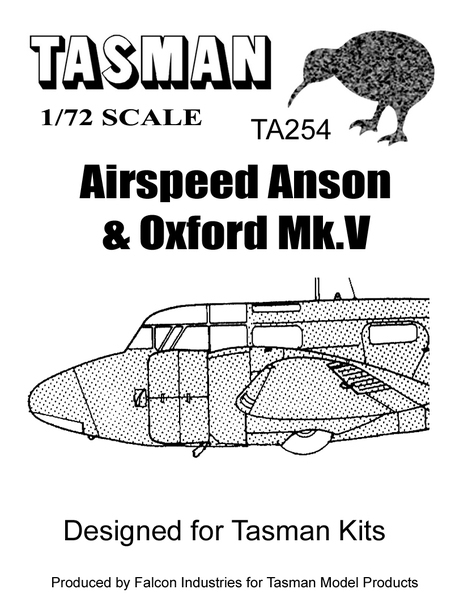 Produced for use with the Tasman Model Products kit. Note: some adjustments to the canopy may be required to fit if used for your chosen kit other than those listed above.